NEW SUPERCHARGER Combo Best Pass 10.33 @ 137mph. 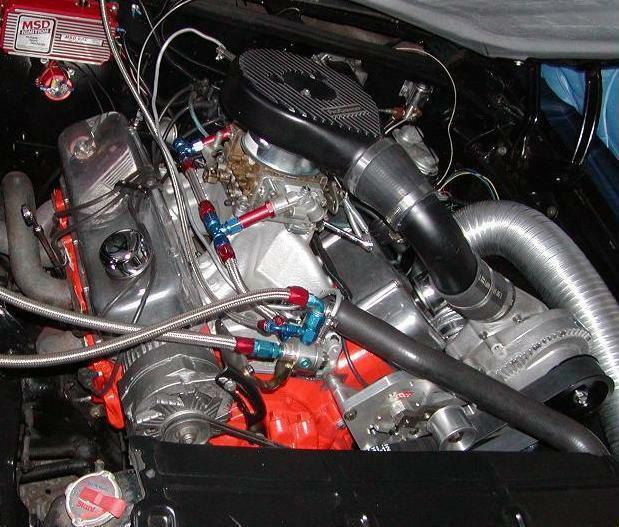 My Chevelle came from the factory with the LS-5 454 engine and TH400 automatic transmission. I have owned this car since 1989. It was a stripped out racecar shell when I purchased it. I put the car together the best I could with the money I had at the time. In 1996, I won several races and came in Second Place in points in the Hot Rod Magazine Real Street Class. The car ran high 10’s with a good Factory Oval Port head combo. 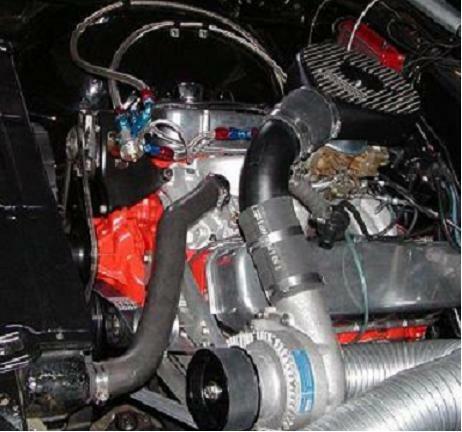 Hot Rod changes the rules for 97 and allowed the use of many high dollar aftermarket components. I tried to keep up with the class but could not compete with the cubic dollars others were shelling out. I went a little too far with Big parts (heads, carb, cam). The car was not very enjoyable to drive. I have since decided to turn the car back into a fast, street driven enjoyable vehicle. The Current Motor is a basic 396 (purchased on Ebay..drove to Chicago to pick it up). It has Factory stock heads and an unmassaged Performer intake. 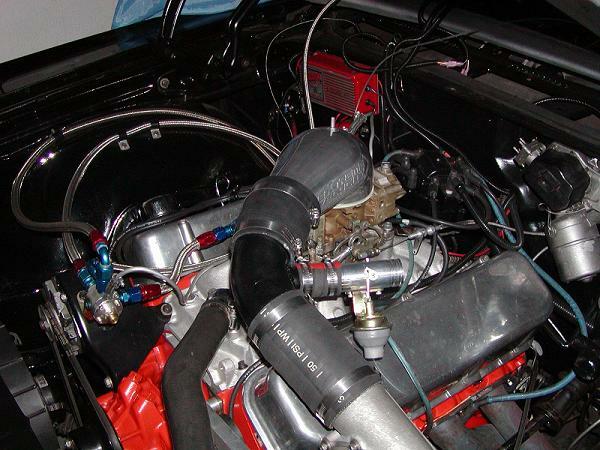 Sound pretty boring…Yes but I topped the motor off with an ATI Procharger Supercharger from SDCE. The folks at SDCE added some custom work that makes this setup even better. A spring loaded tensioner replaces the std hold belt tight/tighten nut setup. The new tensioner tightens as belt stretch occurs(quite a bit under boost). 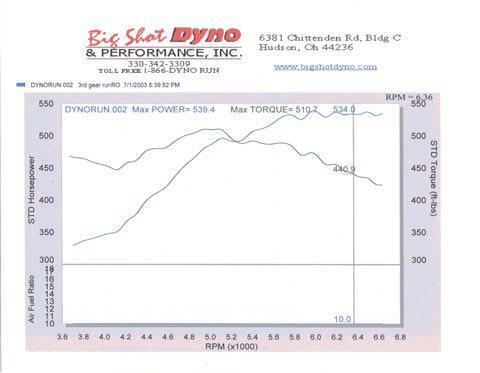 With some help from the guys at DCI MOTORSPORTS (330)628-3354 the best ET to Date is 10.33 and best MPH of 137. The combination has plenty left, as I haven’t worked all the bugs out yet. The goal was to run 10’s on pump gas and stock heads. Then I’ll install a set factory oval port heads that have some work done on them including 2.25/1.88 valves. I’ll update the page as I work through the combination.